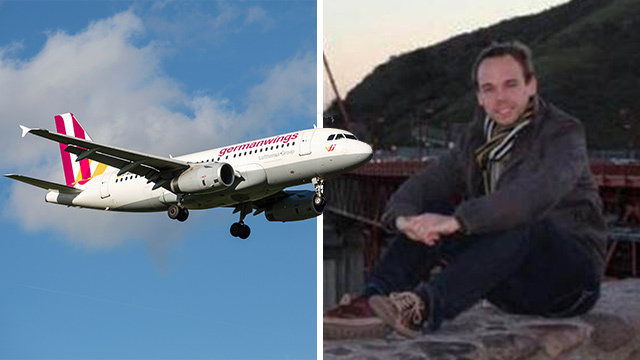 There’s been a lot of talk about the mental health of Andreas Lubitz, the co-pilot that crashed the Germanwings plane into the French Alps. As more details come out, it appears obvious that he was suffering from some type of depression, psychosis and/or personality disorder. Without having examined him myself, I can only speculate by the information covered by the news outlets, but I do know that there are certain forms of mental illness that make a person more likely to not only kill themselves, but to take the lives of other people with them. Sometimes severe depression can include psychotic features that come and go. This is often missed when the person sees a clinician because the psychosis may not be present during the examination, only the depression, therefore the person is treated only for depression. If a person has psychotic depression combined with grandiosity, egocentricity and lack of morals/conscience, that can lead to a person who almost has a god like complex where they believe that not only is their lives in their own hands, but so are the lives of other people. Thank goodness that this type of condition coupled with violence is rare. Usually people who are depressed and/or have suicidal tendencies are only focused on harming themselves. They would never take the lives of another person, much less that of a stranger. Depressed people and people who suffer from a mental illness in general are not dangerous, it’s only when these mental illnesses are combined with other conditions such as psychosis and/or a personality disorder that they can become disastrous. For example, as we stated above, some forms of depression can have short episodes of psychosis . Conditions such as bipolar disorder sometimes may also include psychotic features, where the person may be depressed and hallucinating or manic, grandiose and delusional. The contents of the psychosis may or may not be aggressive. Because people with bipolar disorder often only go see a doctor when they are deeply depressed, they are often misdiagnosed with depression and given antidepressants which can then send that person into a manic episode. I’m not saying that is what happened to this pilot, but his girlfriend reported that he made statements such as “One day I will do something that will change the whole system, and then all will know my name and remember it.” This is a very grandiose statement. There’s even some reports that his vision problems he was so afraid would cost him his career may have been psychosomatic, meaning that they weren’t organic kn nature but psychological. His mental illness could have been causing him to believe he was losing his vision. On top of that, perhaps the thoughts he shared with his girlfriend only alluded to even more grandiose and obsessive thoughts. Some people with mental disorders suffer from painful, oppressive, relentless, intrusive thoughts that may be scary and constant. For example, a person with Obessive-Compulsive Disorder may know that they turned off the oven before they left the house because they checked 10 times, yet they can’t get the thought out of their head that they may have left it on and it will burn down their house so they recheck it again and again causing them to be late for work every day. Or the husband who has the obsessive thought that his wife is cheating, although he knows she’s not, yet he can’t get the thoughts out of his head so he is constantly accusing her, checking her phone, going through her things and driving her crazy. Also, in some personality disorders and psychosis, there can be very grandiose ideas where the person thinks they are better than everyone else and that no ones life really matters. This could have played a role in the airplane crash and would help explain the selfishness and egocentricity of killing oneself with no regard for the lives of the other 150 people and their families. For the most part, people with mental illnesses can maintain very successful lives and careers, such as being an airplane pilot, but only if they are diagnosed and treated properly. Often people with mental illness are misdiagnosed or don’t ever get treated because they don’t believe they need help or because of stigma. People who suffer from bipolar disorder often like the high of the mania therefore they don’t get treated or take their medication accordingly. People suffering from psychosis often don’t realize that they are psychotic and therefore decline treatment. I once spent several weeks trying to convince a successful business man suffering from bipolar disorder that he was not only bipolar, but needed medication to help control himself. At the time he was manic, had been arrested 3 times in 2 months for various reckless behaviors and was on the brink of losing everything. It was only after he had a long time to think in solitary confinement did he start to have some insight and agreed to treatment. This pilot, suffering from real or psychosomatic vision problems he believed would end his career, seized the opportunity to not only end his suffering, but to live out his grandiose fantasy of going down in history, once he was alone in the cockpit. In his right mind this pilot wouldn’t have did what he did, but his mental illness made him impulsive and in that moment he did something that could never be undone. Often times suicide is an impulsive act. A person may have the thought, but without adequate means they won’t harm themselves. However, if the impulse is strong enough and a weapon of destruction is within reach, the urge to kill themselves may win out over any desire to live. Once again, at this point it is pure speculation as to what was actually going on inside of Andreas Lubitz mind at the time he made that fatal decision. However, this gives us a great opportunity to have an open discussion about mental illness no matter if it’s our own or others. Today I counseled an inmate who was upset because he had been diagnosed with what he called Post Dramatic Stress Disorder (PDSD). What he meant and I quickly corrected him, was Post Traumatic Stress Disorder. Initially my colleagues and I had a good laugh at the fact that he mistakenly called Post Traumatic Stress Disorder, Post Dramatic Stress Disorder, but then I thought about it. Can exposure to too much drama create a milder form of stress that can have a negative effect on an individual’s life? Every day most of us are exposed to some type of drama, either in our personal lives or through the media where we are bombarded with images of war, devastation and danger just from watching the news. We are faced with even more murder, betrayals and violence from the television shows, books and magazine articles we consume. Most of us don’t give a second thought to these images that slip into our brains, but for some of us, prolonged exposure to drama can create anxiety, difficulty sleeping, a sense of helplessness and agitation. Think about it. How many times have you watched or read something that was provocative, suspenseful or violent and then found yourself dreaming about it that night, perhaps even having a nightmare that the dramatic even was happening to you? Many of us will push this aside as we wake up and get back to our realities, but for a few, they will remain hyper vigilant and uneasy for days. My oldest sister had to stop watching one of her favorite movies because it would cause her to go back to work the next day angry. Why? The dramatic events in the movie didn’t happen to her, yet they affected her on multiple levels triggering an agitated response. What’s the solution? Certainly I am not advocating boycotting television or books filled with drama, but instead to take a break from it every now and then. Go for a walk, take up yoga, spend time with someone you love, try to avoid real life drama, do anything relaxing that can help bring you centered. Also, try to pay attention to how dramatic events affect you, which ones and how. 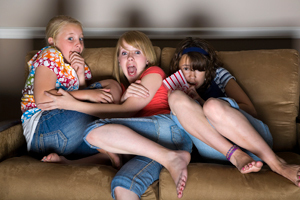 Most of us are much more affected by the dramatic events in our real lives than in the media, but maybe watching a suspenseful movie before bed isn’t the best idea if they generally give you nightmares and poor sleep quality. What started off this morning as a good laugh (with the seriousness we deal with every day we are always looking for a good laugh), a real topic was brought up. Post Dramatic Stress Disorder may not be a real disorder, but the effects of being dramatized are. The less drama (real or fictional) we have in our lives, the healthier we will be both mentally and physically. The other day my girlfriend was looking at a video on Facebook. I wasn’t looking at the video, but what I heard was a lot of shouting and then finally multiple gunshots. It was obviously a violent video and I didn’t want to see it. The next day I saw that she had shared the video on her page which to me meant that whatever the video was about, she felt either passionate about it or angered by it so I decided to watch it. What I saw was an unarmed man, surrounded by five overly aggressive, untrained police officers who end up shooting him. You can find the video at the end of this post. Warning, some my find it graphic and hard to watch. During my research for this post, Los Angeles police leaders insist that all of the officers involved in this altercation had some training on dealing with the mentally ill, with some having as little as 11 hours of training. They went as far as they say that the skills learned in the training were used during this encounter, which in some part may be true, but when I see officers taking violent punches at a person and being overly aggressive with little control or coordination, it’s hard for me to see that any crisis intervention techniques were appropriately used. For over 4 years I worked in a psychiatric hospital where every day we had to deal with at least one hostile patient, some who had just been released from jail and brought directly to our facility. These patients in particular were aggressive and violent and often needed to be restrained for their safety and the safety of others. We often had to “take down” these patients with as little as three staff members actually going hands on. Patients very rarely got hurt. Matter of fact I can’t even think of one incident I was involved in where a patient got hurt. Staff rarely got hurt as well and when they did it was generally superficial scratches. No one ever died. Ever. No patient, no staff member. Unlike in this video we weren’t armed with more than latex gloves and training in non-violent crisis intervention training. We practiced what is sometimes called “therapeutic hands on” actions, which means that when we did have to put our hands on a patient we did so in a way to quickly gain control of them without trying to hurt them, no matter how violent they are responding to us, unlike in the video where you will see at least one officer swinging away at the inmate as if he were in a mixed martial arts fight. The officer who says the suspect was reaching for his gun and the officer who appears to have been the most involved with the suspect was the newest officer on the scene with the least amount of training in dealing with mentally ill people. I’m not saying that all police officers are this way, but many officers when dealing with individuals are overly aggressive and don’t have the patience it takes to appropriately deal with mentally ill people. This is why we see so many unarmed individuals getting killed by police; over aggression and lack of patients. I know their job is dangerous and tough and often times they can’t wait to see what happens before putting themselves in danger. However, when you have a job where it’s pretty much excepted if you kill someone it’s okay, it makes having to be patient and cautious a lot less likely. Working in the psychiatric hospital, if we killed a patient while trying to restrain him we would most likely get fired, loss our licenses and get sued by the family. Too many officers operate with impunity. Where I live we are lucky to have Crisis Intervention Team (CIT) officers who have went through specialized training to deal with mentally ill individuals. Whenever I had to call law enforcement for someone I believed was mental ill I always requested a CIT officers for that individuals safety. CIT officers are more likely to approach mentally ill individuals calmly and take them to the mental hospital instead of jail. They generally don’t over-react or act aggressively. Unfortunately, not all police and sheriff’s departments have CIT officers or good training programs. What I am advocating here is for more training like the training done by the Clark County Sheriffs Department. With the appropriate training on how to calm a person down, even when restraining them, the number of unarmed killings by law enforcement officers would go down drastically, mentally ill or not.